Steeped in history and revered as a true British classic around the world, when visiting the Cotswolds, afternoon tea is a tradition that should always take priority. Experience an unforgettable afternoon tea from our award-winning kitchen at Lords of the Manor. Afternoon tea is always special at Lords. You are invited to enjoy it on the lawn during glorious weather; or relax in the lounge or bar where at Autumn and Wintertime, you can sip your tea and sample our cakes with the log fire crackling beside you. When visiting our luxury hotel in the Cotswolds, you’re welcome to take a stroll around our beautiful 8 acres to see our stunning gardens and herb garden, as well as stunning walking routes nearby. If you ask reception, they will be able to give you a map so you can truly experience an unforgettable afternoon in the heart of the Cotswolds. 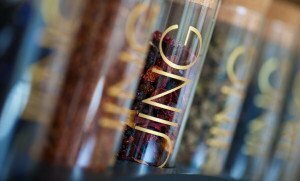 We offer a varied and hand-picked selection when it comes to our loose leaf menu. Accept no imitations – Afternoon Tea should always include the highest standard loose leaf. Our Afternoon Tea in Cheltenham is available 12pm – 5.00pm, Monday – Friday and served 4.00pm until 5.00pm on Saturday and Sunday. Due to popularity, booking is always recommended. Please call us on 01451 820243 to make your table reservation. A Choice of Tea (see our loose-leaf tea menu below) or Coffee with biscuits. 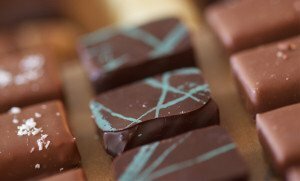 We also offer a Rich and Indulgent Dark Chocolate or a Smooth, Rich and Creamy White Chocolate, using whole-bean roasted chocolate from Belgium.